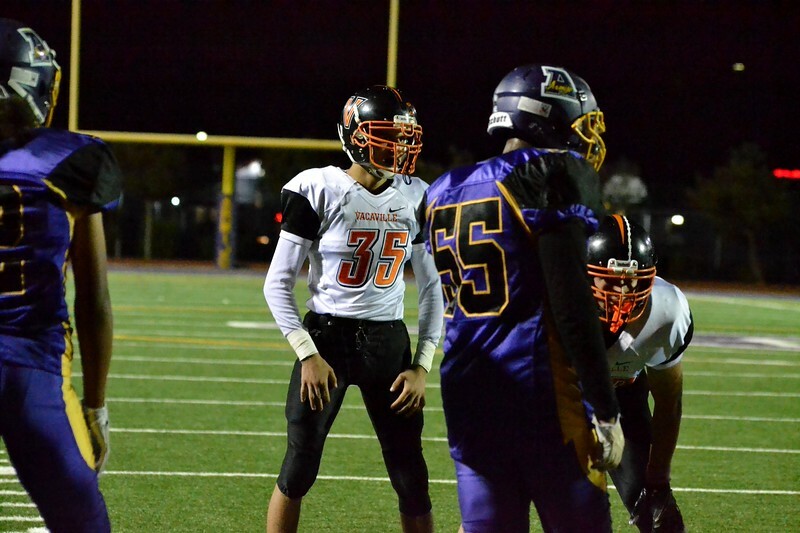 Vacaville High School’s football team opened the Monticello Empire League season with a 51-6 thrashing of Armijo at Brownlee Stadium in Fairfield Friday night. The Bulldogs (3-3, 1-0 MEL) scored 23 of their points in the first quarter. Cameron Mitchell found Jordan Murga for a 29-yard score to begin the damage before Duvall Jackson scored on a 10-yard touchdown run to make the score 16-0. Tre’Vonne Hunt dashed home from 47-yards out to cap the first quarter scoring.